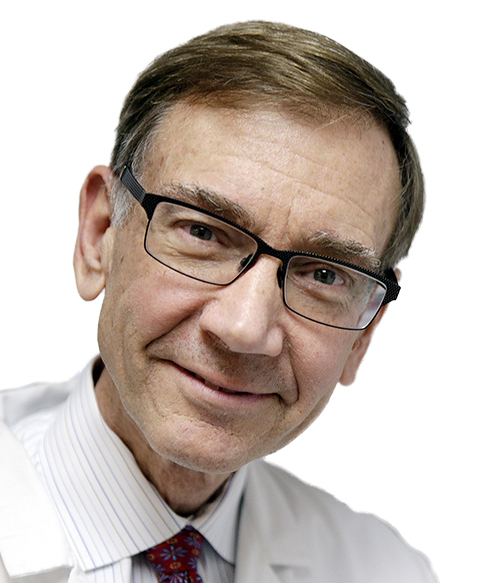 Nicholas J. Vogelzang, MD, is a medical oncologist who has been heavily involved in advancing genitourinary (GU) oncology through clinical trials in the cooperative group setting. Dr. Vogelzang has been instrumental in the progress of GU oncology over the past 4 decades, providing extraordinary leadership in the development of clinical trials and therapeutics. He helped organize GU oncologists early on and worked to ensure that the field would have the necessary multidisciplinary emphasis. He has been the principal or coprincipal investigator in trials that led to the regulatory approval of new therapeutics. These include atezolizumab (Tecentriq) in bladder cancer, pemetrexed (Alimta) in mesothelioma, abiraterone (Zytiga), mitoxantrone (Novantrone), radium 223 dichloride (Xofigo), and sipuleucel-T (Provenge) in prostate cancer and etoposide in testis cancer. He was the inaugural Fred C. Buffett Professor of GU Oncology at the University of Chicago, 1999-2003, and served as director of the university’s Cancer Research Center, 1999-2003, and director of the Nevada Cancer Institute, 2004-2009. He is with Comprehensive Cancer Centers of Nevada in Las Vegas and a former chair of the US Oncology Research GU program.